Hong Kong has long been established as a great port and financial center of world importance. From 1842 until June 30 1997 it was a British crown colony. It is now, along with Macau, one of two Special Administrative Regions (SAR) of the People’s Republic of China. The HKSAR falls under a governmental policy of “one country, two systems”. With respect to the earliest Jewish residents, the Sassoon family arrived at Hong Kong when it was ceded to Great Britain by China in 1842. They transferred their offices from neighboring Canton to Hong Kong and helped to develop this new port. The Hong Kong Jewish Community was formally established in the 1850s though the early community operated mainly in premises leased by the Sassoon family. The first synagogue, the Ohel Leah synagogue, built by Sir Jacob Sassoon, was opened in 1902. The Jewish cemetery was dedicated in 1855The Jewish population numbered 60 Sephardim in 1882; 100 in 1921, mainly Sephardim; 250 in 1954, half Sephardim and half Ashkenazim; 230 in all in 1959; and 200 in 1968, 70 Sephardim and 130 Ashkenazim. From the 1960’s onwards, Hong Kong’s development as a trade and finance centre has attracted tens of thousands of foreigners, among them Jews from the US, Israel, the UK, Australia and Canada. They revitalized the local Jewish community. In 1997, 2,500 Jews were living in Hong Kong, two thirds of them Americans and Israelis. The current Jewish community’s population, as of 2010, is estimated to be approximately 5,000 and is comprised of mainly expatriates originating from countries that include UK, US, France, Australia, South Africa, Israel and Canada who worship in seven congregations. 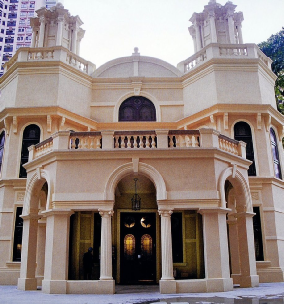 In addition to the Ohel Leah Synagogue, there is a reform congregation, the United Jewish Congregation, established in 1988 to serve Hong Kong’s Reform, Liberal and Conservative Jews. There are Chabad Houses on Hong Kong Island, Kowloon and the newest centre on Lantau Island. There are also two Sephardi Orthodox congregations, Kehilat Zion in Kowloon, and the smaller Shuva Israel congregation on Hong Kong Island. The Ohel Leah Synagogue complex also houses the community’s mikvah and the Jewish Community Centre (JCC), the epicenter of Jewish communal life in Hong Kong. The Centre was built in 1995 to replace the older Jewish Recreation Club or JRC as it was better known. As well as providing extensive communal programming that covers a spectrum of interests from recreational, athletic, academic and cultural, the JCC also boasts a Judaic library and Sino-Judaic archive with a fulltime librarian, meat restaurant, dairy restaurant, coffee corner, large multipurpose function room, kosher market, indoor swimming pool and gym. In addition to the JCC’s two glatt kosher restaurants, Sabra Coffee Shop (Meat) and the Waterside (dairy), and full catering/banqueting services, kosher food is also available at Kehilat Zion’s Mul Hayam Restaurant, in Kowloon, and Shuva Israel’s restaurant in Hong Kong’s Central business district. Jewish life in Hong Kong includes a number of other organizations that further enrich the community experience. The Jewish Women’s Association of Hong Kong, initially established in the 1940s to provide aid to the Jewish refugees arriving from Shanghai, annually provides a number of cultural, social and educational programs as well as fund raising efforts aimed at aiding charitable organizations in Israel as well as the local Hong Kong community. The Jewish Film Festival provides annual programming with a two week festival drawing large audiences from within the community as well as the broader local Hong Kong community. The Jewish Historical Society of Hong Kong (JHS) was founded in 1984, following a lecture by Mr. S.J. Chan at the former Jewish Club. The initial aims of the JHS, an informal Society, were to establish a Judaica library for the HK Jewish community, within which would be housed the Sino-Judaic collection; to promote Sino-Judaic co-operation; to thoroughly document the existing records of the Community and to publish on the subject. Projects recently undertaken by the JHS include recording, photographing and translating the 300 headstones in the HK Jewish cemetery, and an ongoing series of taped interviews of the personal experiences and family histories of members of the Jewish community. The Jewish community is strongly tied to Israel. In 1958, businessman Victor Zirinsky was appointed Israel’s Honorary Consul in Hong Kong and served until Israel’s diplomatic presence was formally established with the appointment of a Consul General as the representative for both Hong Kong and Macau in 1985. Formal diplomatic relations were established between China and Israel in 1992.. Today, in addition to Hong Kong, Israel also operates Consulates in Shanghai and Guangzhou and an Embassy in Beijing. The community’s ties to Israel also include Tzofim (Israeli Scouts). This local branch of the Israeli youth movement was established in 2010. The Israeli Consulate runs an Israeli Film Festival every three years and there are both youth and adult Maccabbee soccer teams. The community also actively participates in programming for and the support of Keren Hayesod-United Israel Appeal (UIA). Yom Haatzmaut and Yom Hazikaron are pivotal dates on the communal calendar and marked by large scale events. Likewise, annually there are numerous organized activities in support of United Israel Appeal and Jewish National Fund. The Jewish Cemetery of Hong Kong is located in Happy Valley, surrounded now by high rise apartment blocks, with the entrance flanked on either side by a Buddhist temple and its school. The cemetery, dedicated in 1855 and formalized in 1858 by a 999-year Crown Colony lease, is one of the few Jewish cemeteries in the Far East that remains in its original 19th century location and still in use. The earliest burial, of a Mr. Leon Bin Baruel, is dated 1857. The Chevra Kadisha list shows that most of those who died in the early years were single men, as it was not common to bring wives and families to live in Hong Kong at the time. In 1904, during the tenure of Sir Matthew Nathan, Hong Kong’s only Jewish governor, the lease on a piece of land adjoining the cemetery was granted by the Crown, this time on a seventy-five year lease – which was renewed for a further seventy-five years in 1979. The chapel, Tehora room, and the other small buildings in the cemetery are believed to date from the period of the new land grant. The gravestones are mostly in Hebrew and English, but Arabic, Russian and Dutch can be found as well. There are ornate Sephardi headstones as well as simple Ashkenazi stones, each one representing a different culture and time period. There are approximately 360 graves in the cemetery. Founded in 1991, the Carmel School Association has quickly grown from a playgroup of a dozen children into one of Hong Kong’s leading international schools, providing the highest standard of Jewish and secular Education. It is, to date, East Asia’s only Jewish day school offering a secondary education program. After several moves, the School is now based on three campuses. The Jewish Community Centre campus houses the preschool children ages one to five. Also in the Mid-Levels area of Hong Kong, the Borrett Road Campus houses the Elementary school for US Grades Kindergarten through Grade Five. The newly established Elsa High School, is located Shau Kei Wan, on the east side of Hong Kong Island. The various Synagogues offer after-school Jewish education alternatives, including the UJC’s well established Shorashim program. The Jews have been present in Hong Kong since the mid-19th century. As a major financial centre, much of Hong Kong's Jewish community is temporary in nature, largely consisting of expatriates from countries with much larger Jewish populations, such as the United States, Israel, and certain European countries. Jews first arrived in Hong Kong when the territory was ceded to Great Britain by China in 1842. The Jews transferred their offices from neighboring Canton and Macau (a Portuguese settlement) to Hong Kong and helped to develop this new port. The Hong Kong Jewish Community was first established in 1857. The first synagogue was set up in a rental house on Hollywood Street in 1870. A new synagogue in memory of Sir Jacob Sassoon's mother, Leah, replaced the older one in 1881. The Ohel Leah Synagogue was constructed in 1901, the communal cemetery was enlarged in 1904 to meet the needs of the community with assistance of Sir Matthew Nathan, the only Jewish governor of Hong Kong, and the Jewish Club, built by the Kadoorie family, was created in 1904 and enlarged in 1909. The Jewish population, which had totaled 60 Sephardim in 1882, grew to 100 in 1921 (mostly Sephardim), and 250 in 1954 (half Sephardim and half Ashkenazim). Growth then slowed, and the population numbered only 230 in 1959, and 200 in 1968 (70 Sephardim and 130 Ashkenazim). Ho Fook and Robert Hotung's father was the Jewish Dutch man Charles Maurice Bosman. The Jewish community did not grow quickly, as most Jewish merchants were attracted to Shanghai, especially in the period from 1910 to 1936. However, the Japanese occupation of mainland China in the late 1930s caused many Jews to leave Shanghai, Tianjin, and Harbin for Hong Kong. The outbreak of World War II and the consequent Japanese occupation of Hong Kong temporarily suspended all Jewish activities there. From the 1960s onwards, Hong Kong's development as a trade and finance centre attracted tens of thousands of foreigners, among them Jews from the United States, Israel, the UK, Australia and Canada. They revitalized the local Jewish community. Since the 1960s, Israel also began to appoint Honorary Consuls to Hong Kong. There were 2,500 Jews living in Hong Kong (two thirds of them Americans and Israelis) according to the statistics of the Israeli embassy as of February 1998, up from 1000 around the 1980s. It is estimated that about 5,000 Jews lived in Hong Kong in 2000, and 6,000 in 2002. There are now four congregations (the Orthodox Ohel Leah Congregation, the Chabad-Lubavitch Congregation, the Progressive United Jewish Congregation, and the Conservative Shuva Israel Congregation), which have their own rabbis and places of worship. There is also a large Jewish Community Centre, library, recreational facilities and a kosher restaurant, and is the leading venue of Jewish activities in the city. There are two Jewish schools, the Carmel school, providing a nursery school program and grades K-12, and the Ezekiel Abraham school which provides after school learning for older children. "We're so lucky to be in Hong Kong - it's a fantastic place for Jews. It always has been." Judy Green, chairwoman of the Jewish Historical Society of Hong Kong, has lived here since she was 11 years old. We meet at the Jewish Cemetery, a green and peaceful spot in a hidden corner of Happy Valley, tucked behind a Buddhist temple and surrounded by a cluster of tower blocks. It's dotted with gravestones bearing with a mix of English and Hebrew script. The earliest recorded burial plot, belonging to a Leon Bin Baruel, dates from 1857. The most recent gravestone is dedicated to Mervyn Gatton, who died in February. Hong Kong's Jewish population, currently estimated to be 5,000 strong, is thriving. "It's a close-knit and dynamic community," says Green. And it's a community that has deep roots, stretching right back to the earliest days of the colony. 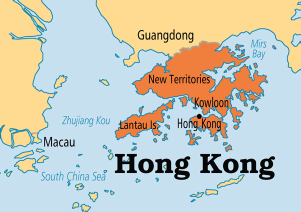 The first Jews to set up home in Hong Kong were Iraqis who arrived in the 1840s. They were descendants of Jews expelled from Spain and Portugal during the Inquisition (which lasted from the late 15th to early 19th centuries) who had worked their way east to Baghdad, where a sizeable community developed. During the 19th century, Baghdadi adventurers travelled to India and set up trading operations in the booming ports of Bombay and Calcutta. Later, as China gradually opened to international trade, they crossed the Indian Ocean and established outposts in Canton, Macau and Hong Kong. Although there were only a handful of Jewish families in Hong Kong in the mid-19th century, they enjoyed enormous success and several became fabulously wealthy. "The Iraqis are supposed to be the cleverest Jews as far as business is concerned, at least that's what my Iraqi friends tell me," says Green. "I think they had a lot of courage. They saw opportunities that other people either didn't see or weren't brave enough to pursue." The cemetery was created by the Sassoons, a family that was once dubbed "the Rothschilds of the East". They bought the parcel of land from local farmers. Green points out a plaque on the back wall that commemorates the opening of the burial ground, in 1855. The family patriarch, David Sassoon, left Baghdad in 1832 and established himself in Bombay, modern-day Mumbai. He had seven sons whom he dispatched to outposts across the Orient, using his offspring to build a business empire. "He had a son in practically every port," says Green. "As well as in Hong Kong, he had offices in Singapore, Burma, Canton, even as far as Japan and Indonesia." The family started trading back and forth and invested in shipping, hotels and property, but its real fortune came from the less salubrious trade in opium. By the 1870s, the family was one of the leading importers to China of this incredibly lucrative commodity. The Sassoons and their staff formed the core of the Jewish community in Hong Kong. "Most of their employees were also Baghdadi Jews whom they sent over from Bombay," says Green. "They were deeply religious people and always made sure they had somewhere to worship - until they built a synagogue, it was usually just a room in one of their offices." The Sassoons had fingers in pies across the breadth of Hong Kong society and helped to get the fledgling colony up and running. One of David's sons, Arthur, was on the provisional committee that founded the Hongkong and Shanghai Banking Corporation in 1864. Another son, Frederick, was elected to the Legislative Council in 1884. As Green continues her tour, we come across a small chapel and a tahara room, where bodies are ceremonially washed and prepared for burial. She explains that this building stands on ground that was leased in 1904, to expand the cemetery, with the assistance of Matthew Nathan - Hong Kong's only Jewish governor. Nathan served as governor from 1904 to 1907. Born in London, he was a soldier and an engineer with a reputation as a competent and decisive administrator. "He wanted to develop Kowloon, which was a muddy backwater in those days. My husband's grandfather remembers walking around in gumboots because it was a swamp. Nathan decided that for Kowloon to flourish it needed an access road, to link it to the hinterland of the New Territories. Many thought he was making a mistake but he was determined to push the project through." Once dubbed "Nathan's folly", Nathan Road - the shopping megastrip that bears his name - catalysed the development of the whole area, proving the wisdom of his decision. Although gifted in practical matters, Nathan didn't thrive socially. "He was a bachelor and didn't have a wife to act as hostess at functions at Government House," says Green. "I think he found that aspect of colonial life very difficult. A lot of expat socialising was centred on the Hong Kong Club, which didn't admit Jews in those days, and there were Sunday gatherings at church, which he couldn't attend." In 1907, Nathan was transferred to South Africa. On his departure, the South China Morning Post reported that "the general regret at the departure of Sir Matthew Nathan from Hong Kong is a tribute to his fine personal qualities as well as to his splendid administration …"
At the front of the cemetery's main burial ground stands a pair of marble sarcophagi, marking the final resting places of brothers Lawrence and Horace Kadoorie, members of the best known Jewish family in Hong Kong. Green puts a small stone of remembrance on each sarcophagus. The Kadoories were family friends. "The brothers were lovely. Lawrence was very warm-hearted, easy-going and generous-spirited. He would talk to anybody - he didn't seem to think of himself as the special person he was. Horace was extremely jovial, really interested in young people and enthusiastic about his philanthropic work." The brothers amassed a fortune by investing in rubber plantations, banking, docks and real estate. In 1914, Ellis made a major investment in Hongkong and Shanghai Hotels, which now operates 10 properties under the Peninsula brand across Asia, Europe and the United States. The flagship Peninsula, in Tsim Sha Tsui, an iconic Hong Kong landmark, was said to be "the finest hotel east of the Suez" when it opened, in 1928. Four years later, he bought into China Light and Power (now CLP Holdings), the largest eleEllis was to remain a bachelor and died aged 55, but Elly married in Shanghai and had two sons, Lawrence and Horace. As the boys grew older, they became increasingly involved in managing the family's affairs. In 1937, Lawrence, who had been born in Hong Kong, moved back to the city to run the hotel business. When Hong Kong fell to the Japanese in 1941, Lawrence was interned in Stanley with his wife and two small children. After five months, the family transferred to Chapai camp, near Shanghai, to be closer to Horace and Elly, who were living in the former stable block of the family mansion. Elly died in 1944 and succession fell to the brothers. After the war, Lawrence returned to Hong Kong to reclaim his family's assets. He set up home at the Peninsula. During the occupation, the hotel had been requisitioned as the headquarters of the Japanese and, afterwards, by the British military, and was in a terrible state of disrepair. Just as restoration work got under way, refugees started arriving from Shanghai. In the lead-up to the second world war, about 20,000 European Jews, fleeing Nazi persecution, had taken refuge in Shanghai, one of the only cities in the world for which a visa wasn't required. "They had no money, no nothing," says Green. "The Jewish community in Shanghai galvanised and looked after them and Horace was particularly active in that. It was a huge undertaking - because there was an awful lot of them and only a relatively small Jewish community." After the war, the refugees were repatriated to Europe or went on to start new lives in the US, Australia and Israel. Most of them had to transit through Hong Kong to collect their visas. The Kadoories joined forces. Horace gathered information about each batch of refugees at the Shanghai end and sent it to his brother. In Hong Kong, Lawrence visited the Immigration Department almost daily, bearing lists of names, final destinations and petitions for permission to transit. Once they arrived in Hong Kong, the refugees had nowhere to stay so Lawrence threw open the doors of the Peninsula. Most stayed only a few days but one group of nearly 300 people, who were due to sail to Australia, were stranded when their ship was diverted to carry troops. Lawrence repurposed the hotel's ballroom as a dormitory and accommodated them there for several months until alternative transport was found. "Lawrence wasn't known for being observant, religiously," says Green, "but the Jewish people were very important to him and he was unstinting in his efforts to help them." He had the support of Hong Kong's other Jews, who banded together to provide clothing and medical aid, and handle baggage, change currencies and assist the refugees in planning their journeys. Once the refugees had dispersed, Lawrence turned his attention to the family business, becoming a key player in Hong Kong's phenomenal post-war economic growth. By the time of his death, in 1993, the Kadoorie portfolio included stakes in the Star Ferry, the Peak Tram, the Cross Harbour Tunnel and the Daya Bay nuclear power station, in Shenzhen. As the Kadoories acquired money, they also gave it away. They were legendary philanthropists and their generosity was not confined to the Jewish population. Elly built a number of schools and hospitals in the Middle East that were open to all-comers, irrespective of race or religion. His brother endowed the Ellis Kadoorie Chinese Schools Society in Hong Kong, which originally served the poorer sections of the Chinese population and now caters mainly to the children of lower-income South Asians. After the war, Horace and Lawrence pioneered social initiatives to help an influx of Chinese refugees escaping the civil war across the border become self-supporting and secure. Horace - who had always wanted to be a farmer - was instrumental in the founding of the Kadoorie Agricultural Aid Association in 1951. It established an experimental farm and provided training in sustainable agriculture, interest-free loans and livestock. Starting in 1968, thousands of Gurkhas (Nepalese serving in the British Army) stationed in Hong Kong were offered training, so they could work as farmers when they left the army and returned home. Later, as agriculture declined, the farm shifted its focus to environmental issues and is now run as the Kadoorie Farm and Botanic Garden. Lawrence, together with six friends, established an enterprise to provide employment for boat girls and preserve the traditional Chinese craft of making fine carpets. Tai Ping Carpets started life in a house in Tuen Mun. Sales soon soared. Prior to the 1950s, carpets were rarely seen in Hong Kong and the floors of smart hotels were made of polished wood, but that changed with the proliferation of air conditioning, which protected carpets from damaging humidity. Tai Ping also cornered the market in the US. A trade embargo meant goods could not be imported from mainland China, creating a vacuum that Lawrence and his friends promptly filled. In 1959, Tai Ping moved its headquarters and factory to Tai Po, bringing new vitality to the small market town. The company remained there for 32 years before all production was moved to the mainland. Still based in Hong Kong, Tai Ping is now the world's largest hand-tufted carpet company. Lawrence's multifarious achievements were rewarded when he became the first person born in Hong Kong to be elevated to a British peerage. In 1981, he was named Baron Kadoorie of Kowloon and Westminster in the House of Lords. He and his relatives have sprinkled the SAR with the family name. While the Sassoons have only a road in Pok Fu Lam named after them, the Kadoories are credited with an avenue in Mong Kok, a beach at Castle Peak and, of course, the farm and botanical gardens. The Kadoories still maintain a presence in Hong Kong. Lawrence had two children, one of whom - Michael Kadoorie - chairs both CLP Holdings and Hongkong and Shanghai Hotels. Emanuel Belilios, a contemporary of the Sassoons and another opium millionaire, built a huge mansion on The Peak and filled its garden with a menagerie of exotic animals, including a camel. As generous as he was eccentric, he helped to fund the Alice Memorial Hospital and Hong Kong's first school for girls. He was appointed to the Legislative Council in 1881 in recognition of his contribution to Hong Kong Society. The flamboyant Harry Odell, known as Hong Kong's first impresario, arrived here in 1921, fresh from a stint as a tap dancer in Japan. He started a film business, persuaded famous performers to visit and successfully lobbied the government to support the foundation of the City Hall theatre complex. Solomon Bard, who died last month, was a talented musician with a prodigious intellect. The founding director of the student health service at the University of Hong Kong, he also led the Hong Kong Philharmonic Orchestra, became music director of the Hong Kong Chinese Orchestra and co-founded the Hong Kong Archaeological Society. After the war, many Jews relocated but some stayed on, laying the foundations of today's community. From the 1960s onwards, there was a steady influx of expats and the Jewish community is now bigger, and busier, than at any other time in Hong Kong's history. "There's some kind of Jewish activity on every day of the week," says Erica Cohen Lyons, "which, I think, is remarkable." Lyons is founder and editor of Asian Jewish Life, a quarterly journal that covers Jewish activity throughout the region. She moved here from New York 12 years ago and her three children attend Carmel, Hong Kong's Jewish school. We meet at Ohel Leah, a synagogue in Mid-Levels that was built by scions of the Sassoon family in 1902 and named after their mother. "It's laid out in the Baghdadi style, with the lectern in the centre," says Lyons, who is on the synagogue's management council. She shows me where the Torah (the scrolls bearing the Old Testament that are taken out and read during services) are stored, in a hidden space at the back called the Ark. "The Jewish community in Hong Kong is very special," says Lyons. "It's extremely diverse, with Jews from Europe, the Americas, the Middle East, Asia and Africa. There's also great diversity in terms of how people practise Judaism. We have the complete range represented, from those who are entirely secular to those who adhere to Orthodox streams of Judaism. "In the US, people from different denominations of Judaism tend not to mix. Here in Hong Kong, we all share one school and one community space [the Jewish Community Centre, located in the building adjacent to the Ohel Leah Synagogue]. This pluralism is very unusual. It makes me really proud of this community. "We are really fortunate that anti-Semitism is essentially non-existent here. Historically, we've always had a good relationship with the local community - I think there's a mutual respect between the Chinese and Jews in Hong Kong. They have similar traits and cultural values in some ways, and we've always been welcomed and made part of society." Some Jewish cultural activities are being embraced by the wider community. Lyons points to the Jewish Film Festival, which took place earlier this month. Now in its 15th year, it is steadily gaining in popularity. "The festival attracts many non-Jewish people [about 30 per cent] to its screenings," she says. Looking to expand its reach, the festival organisers this year partnered with the Asia Society, a group that is also playing host to an exhibition of the Dead Sea Scrolls, on loan from the Israel Museum, in Jerusalem.